Home VCU1525 Blackminer F1 Cloud Mining - Review | The Best Yet ? Blackminer F1 Cloud Mining - Review | The Best Yet ? There is a new miner in town. Blackminer F1 from Hashaltcoin.com claims to offer more hashes than VCU1525 based bistreams. I contacted the admin and got a review copy [sort of] and found these. The device looks exactly like an Antminer but the hashing boards are FPGA. It is believed that, it has 2 hashing boards each comprising 6 Kintex based chips and a control board at the top. The Hashing boards are powered separately and then connected to the Control board. The control board has an Ethernet port through which the device can be connected to the PC and configured. 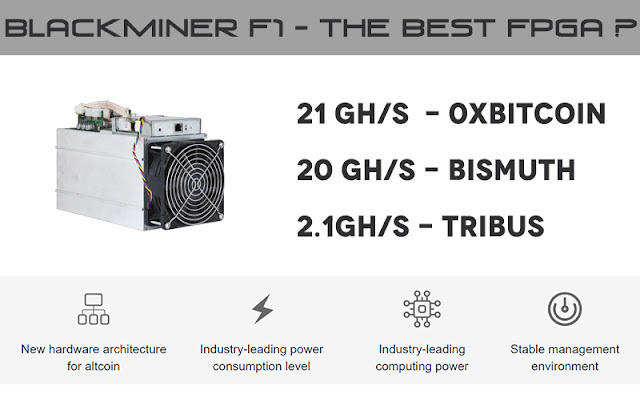 If you are familiar with antminer then the device is an exact replica. You dont need to mount any bitstreams or programs, everything is loaded though cloud. When the ethernet cable is connected, just like antpool the developer has a portal where you can configure the frequency, choose the algorithm and the coin to mine. Unfortunately, you can mine developer listed algorithms and coins for now. To be honest the speed is extraordinary like he claimed. During the trail of 4 hours, I have tried Keccak and Bismuth algorithms. Bismuth algorithm is mind blowing, I could get a solid 20 GH/s all the time with a power consumption listed as 600W. The developer promised, more algorithms will follow in due time. Also, he told, users could mount their own bitstreams or kind of [Im unsure of this]. If the device gives hashrate as promised or as tested, then its gonna rock the FPGA market for sure. We can already see, the hashrate of 0xbitcoin doubled in a week. Blackminer has started shipping and Im awaiting one too. The price is quoted as $2500 which is another boon. But my friends at Xilinx said that the price looks unnatural for a device that has 12 pieces of Kintex chips. Developer might get a huge discount? 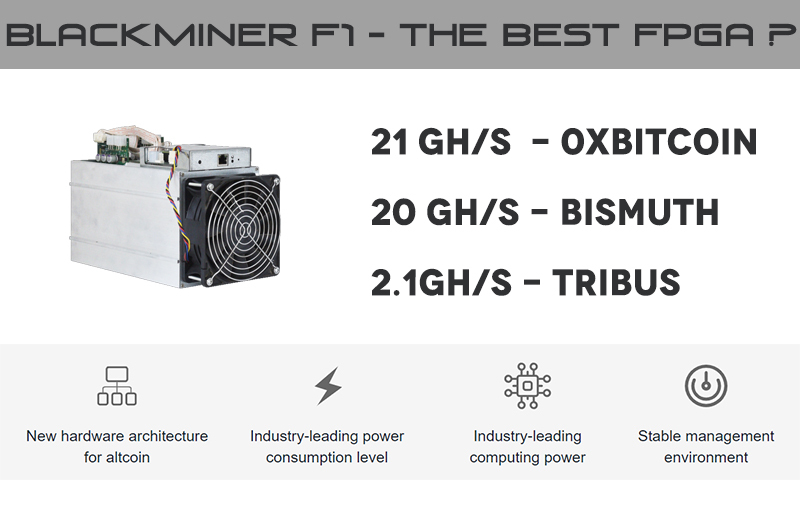 The point is the device works absolutely good and the only thing is the developer must provide good bitstreams all the year throughout because we went antminer way. He is the only one who gets to decide what the user mine. That is the only thing we need to think of. As far as the blackminer is concerned, Im satisfied but it might change when I set the device myself to see whats real and whats not. Thanks for reading this article, if you like this please share. I had got a clear idea of what the blog is all about. Kindly continue doing more. for the freshers who are longing for the information about this technology.